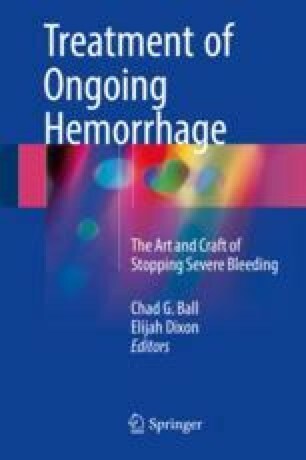 Initial management of extremity hemorrhage begins with direct pressure or a tourniquet to stop the bleeding. A baseline vascular and neurologic exam follows with rapid transfer to the operating room for exploration and repair. Numerous operative strategies can be utilized to fix the damaged vessel, including primary repair, resection and primary anastomosis, interposition graft with vein or polytetrafluoroethylene, shunts when the patient is unstable, and ligation. The preferred method of repair depends on the location of the injured vessel, whether it’s an artery or vein, and the overall condition of the patient at the time of operation. Specific upper and lower extremity exposures are described, as well as best practices for individual injuries.